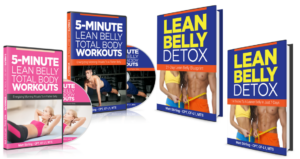 Lean Belly Detox is an online program designed by Matt Stirling to help people lose their belly fat. After reviewing the content, I have some serious questions about whether doing this program is actually a healthy way to lose weight. The main strategy of Matt’s Lean Belly Detox program is the “Morning Metabolism Detox Drink.” This is a formula that Matt created himself. The special diet strategy is supposed to work to flatten your belly quickly without starving yourself or exhaustive exercise. It is supposed to be a great way to avoid restricting foods or slashing calories. Slashing calories is not a great strategy because it doesn’t provide you with the needed nutrition. However, that isn’t the problem that needs to be fixed. After testing out the GAPS diet, the blood type diet, the Autoimmune Paleo diet, the Macrobiotic diet, the raw vegan diet, the ketogenic diet and now the carnivore diet, I have figured out a thing or two about what is helpful to the body and what will make the body feel better. I don’t actually see a lot of evidence to support the efficacy of a cinnamon cider miracle drink that will hack your fat storing hormone. Cinnamon is touted for boosting metabolism, but I don’t know to what degree that will actually work. The great part of this program is that Matt Stirling does recommend brief bouts of exercise throughout the day so that you’ll feel more energized and see your waist shrink. Bouts of exercise alone can be enough for someone to start losing weight without a miracle cinnamon cider. Matt explains how to “hack” your most powerful hormone and drastically improve your insulin sensitivity and blood sugar management. An informative guide on how to select satisfying carbohydrates that will help you lose weight and get healthy fast. A simple trick to do prior to eating to start looking and feeling amazing. A workout program that is designed to work for everyone trying to lose stubborn belly fat. Recommendations that work regardless of how much weight you must lose or how long you’ve been in the “overweight” category. Simple and Easy to follow – This is the best part of the program. The workouts, meal plans and instructions are designed to be very easy to do. More than Calories in and Calories Out – Matt delves into underlying issues of weight gain, such as insulin resistance and carbohydrate intolerance to help you increase your chance of trimming down. Designed for Everyone – This program was designed for young and old alike. However, the workouts are geared towards older individuals. 60 Day Money-Back Guarantee – If you truly feel that this is the program that may be right for you, you can still buy it and see if you get results. The nice thing is that you’ll receive a refund if it doesn’t work for you. Matt Stirling has partnered with Clickbank to bring this product to you and they are excellent at refunds with no questions asked. Miraculous Claims – The Lean Belly Detox sales page is trying to portray the product as a bit of a miraculous solution. This is marketing to get people’s attention towards a product. You won’t likely have miraculous results without putting in a ton of effort. You Must Do the Work – For this program to work, you must consistently put in effort to improve your diet and to exercise daily. There simply is no way around it. Not even a miracle cinnamon cider. A Digital Program – Not everyone enjoys having trainers online. This can be a positive for some people, but many people would prefer to have face to face interaction with their trainers. Results are not typical – They pulled the superstars who had loads of success for their testimonials. These are not typical results. You may not achieve the same results. You may actually need to put in more effort than they describe on the sales page to achieve the same results. Who is Lean Belly Detox for? Matt Stirling designed this program to be easy enough to use for anyone. However, he is targeting men and women who are overweight and have excess belly fat that they want to lose. The workouts are designed more or less for older individuals, but they can be modified to be made more challenging and difficult. Personal support with this product is not included. However, for $15, I wouldn’t expect to receive a lot of personalized support. There are no forums or groups to join either. This digital product sells for only $16.24. This is a great price for a weight loss digital program. 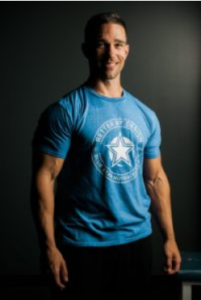 As someone who had success with the ketogenic diet, I question the concepts that Matt Stirling teaches. The three important concepts in this program teach you to avoid high protein diets, avoid cutting calories and avoid counting calories. I’ve followed a low carb/high fat/moderate protein diet and my health improved, so I don’t fear eating more protein. I do think that carbohydrate over consumption is leading to insulin resistance. His advice to not cut calories or count calories is somewhat contradictory. You can’t be sure you aren’t cutting calories if you don’t count them. It does make sense not to deprive yourself of food. VERDICT: NOT LEGIT! I’m not digging Matt Stirling’s advice. Instead, I recommend trying a ketogenic diet. You can check out my Bacon and Butter free cookbook review. It’s great to see a thorough and genuine review of such a product! I think some detox’s have their place if you’re generally eating a healthy balanced diet, but this seems targeted at the lazy. I think your keto plan sounds a whole lot better. Thanks again for the informative write up! Thanks for this great information. When your desperate to lose weight it can be easy to fall for promises of easy results or a miracle cure. I appreciate your efforts to give an unbiased and truthful review! Your article, in the form of review on Lean Belly Detox is superb. The innocent buyers can be easily baited in the absence of a review like this. You’ve given a detailed walkthrough on the good and the bad of the dieting stuff as an eye opener for the readers. 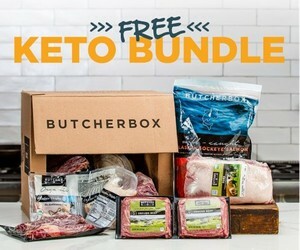 I see that you are also a tank of information when it comes to slashing or increasing low carb/high fat/moderate protein diets from your own personal experience. Thanks for sharing this useful and unbiased review. Thank you so much for this honest review you don’t see these types of reviews that often. I have to agree I think myself that it’s a lot of hype and you’ll need to put a lot of work into it to make it happen. People want to lose belly fat fast and can get caught up with all these hyped up fads that in the end show no results. Thank you so much for this article.